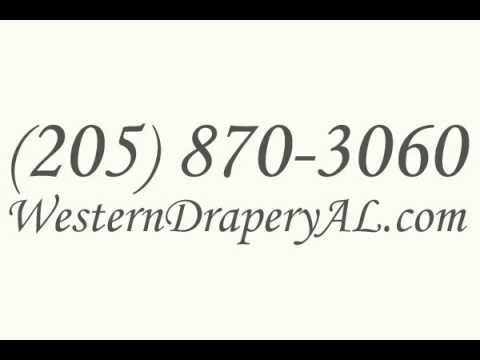 We are your premier window treatments store in Birmingham, Alabama. For over 40 years, we have been a family owned and operated drapery workroom custom making all soft window treatments and bedding. Our specialty is custom design and hand making all of our window treatments from draperies, to valances and shades, to bedding. We also offer blinds, shutters, and shades in many styles, shapes, makes and models. Our designer on staff can work with you to come up with the best look with the perfect hardware as well. Our quality of custom draperies is second to none. Stop in or call us for an appointment today.